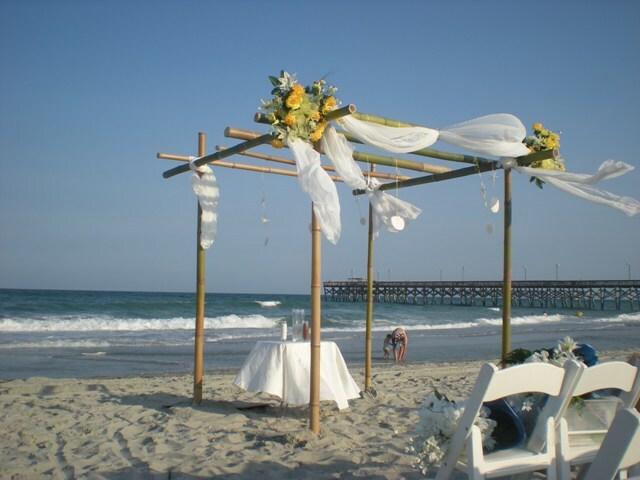 The Chuppah is made of bamboo poles and chiffon is added to give it a whimsical feel. 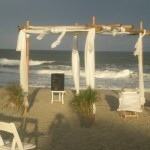 Arrangements or sprays of flowers can be added or shells hanging with ribbon creates a more unique look. 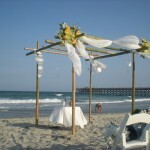 This arbor is large enough for the officiant and couple to stand under. It is 8 ft. square and 8 ft. tall. 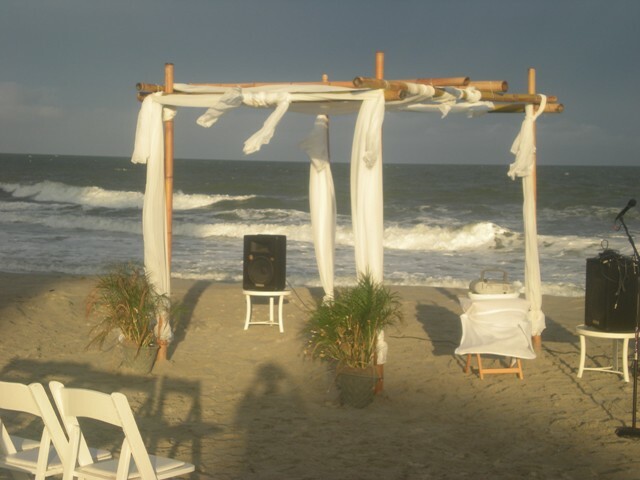 The table in the back is the sand ceremony table which is popular on beach locations because candles will not stay lit in the wind.